B 90 R Adv Bp 11613080 https://www.kaercher.com/tn/professional/floor-scrubbers-scrubber-dryers/scrubber-driers/ride-on-scrubber-driers/b-90-r-adv-bp-11613080.html The B 90 R Adv Bp battery-operated ride-on scrubber drier impresses with FACT, compact design, high flexibility, an expanded tank capacity and variable working widths (55-75 cm). 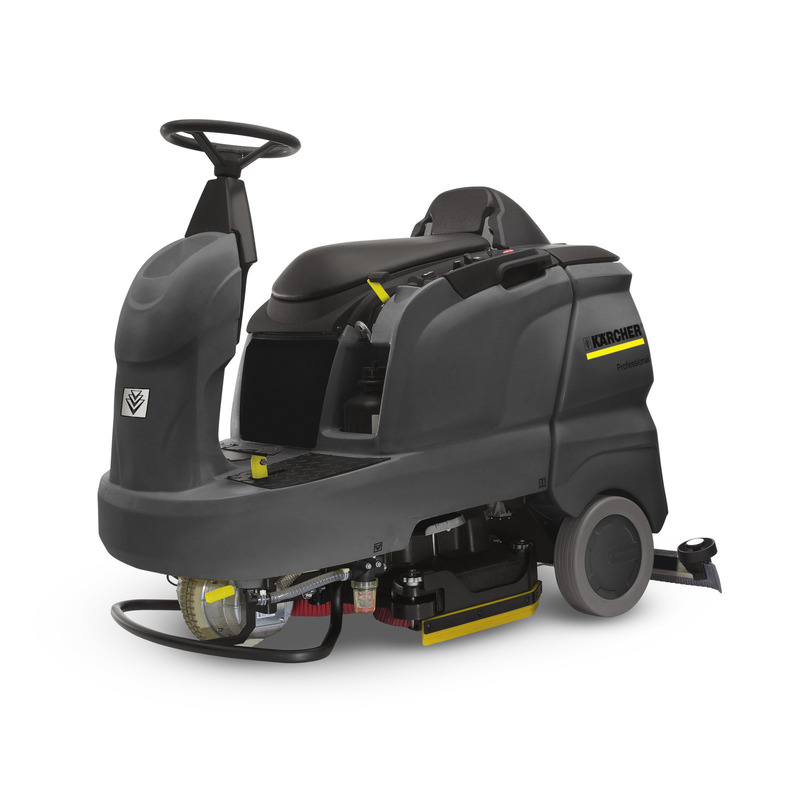 The B 90 R Adv Bp battery-operated ride-on scrubber drier impresses with FACT, compact design, high flexibility, an expanded tank capacity and variable working widths (55-75 cm). Everything is always under control: the B 90 R Adv B ride-on scrubber drier is equipped with Flexible Application Control Technology (FACT) for adjustment of the brush speed. In addition, operating hours and fresh water fill level are clearly visible on the display. The device from the new generation of brush heads enables the use of roller or disc brush heads with different working widths (55-75 cm). For maximum flexibility. The brush is driven by a star attachment. With a turning radius of just 1.6 m, the device is very flexible and offers excellent manoeuvrability. In addition, the machine has an expanded tank capacity and is especially easy to fill with fresh water. Thanks to the compact dimensions, the device can be easily loaded and transported, for example in elevators. Openings on the battery compartments ensure sufficient ventilation, even during extended operating periods. An additional flat fold filter protects the turbine against corrosion. In short: the manoeuvrable alternative to any larger walk-behind machine!